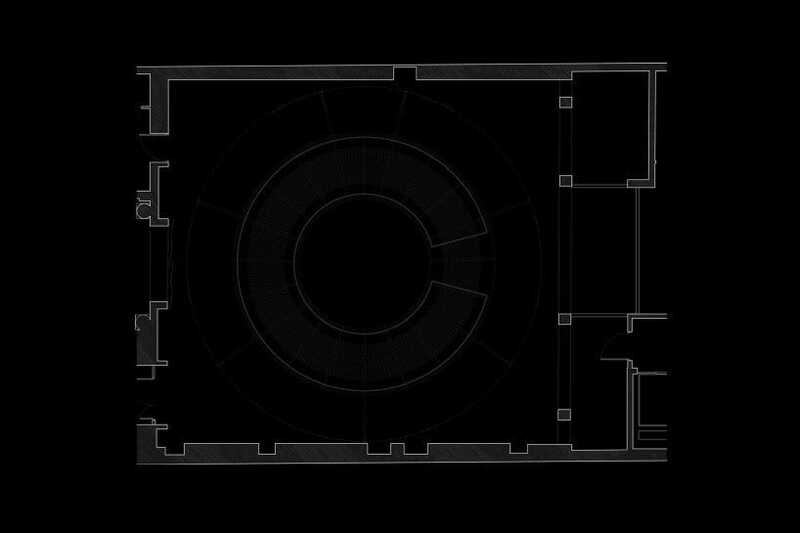 Dorell.Ghotmeh.Tane：For its first event of 2015, Éléphant Paname, the new Art and Dance Centre in the heart of Paris, presents an exhibition/exploration certain to inspire a range of both emotional and sensory responses. 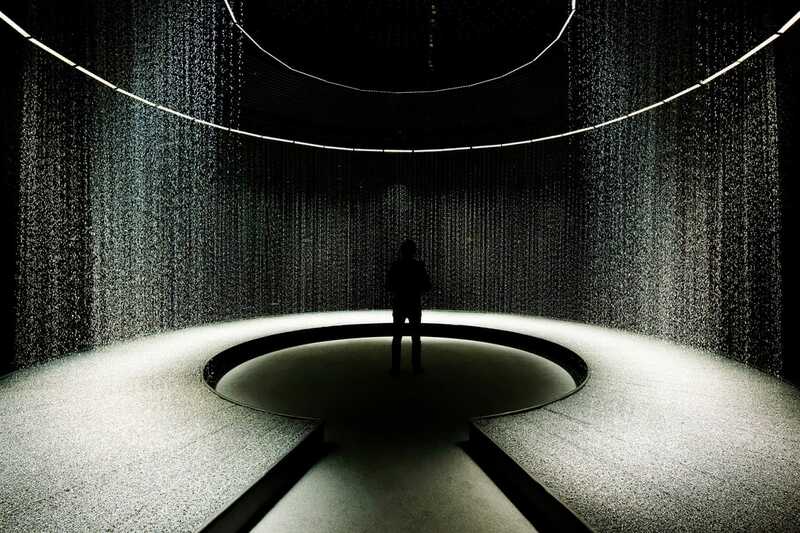 The event is orchestrated by a British creative agency who look to break down frontiers between art, design, architecture, technology and industry, with light as the shared asset. 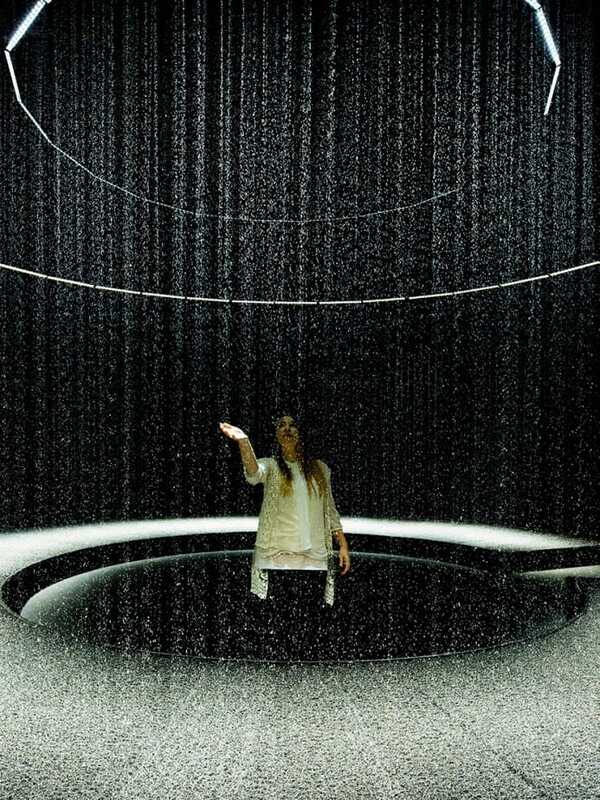 From 6 March to 31 May 2015, visitors were invited to take part in a journey of discovery, interacting with a group of breathtaking, dazzling, captivating and meditative installations, some of them never exhibited before anywhere in the world, by ten internationally renowned creative individuals and teams. 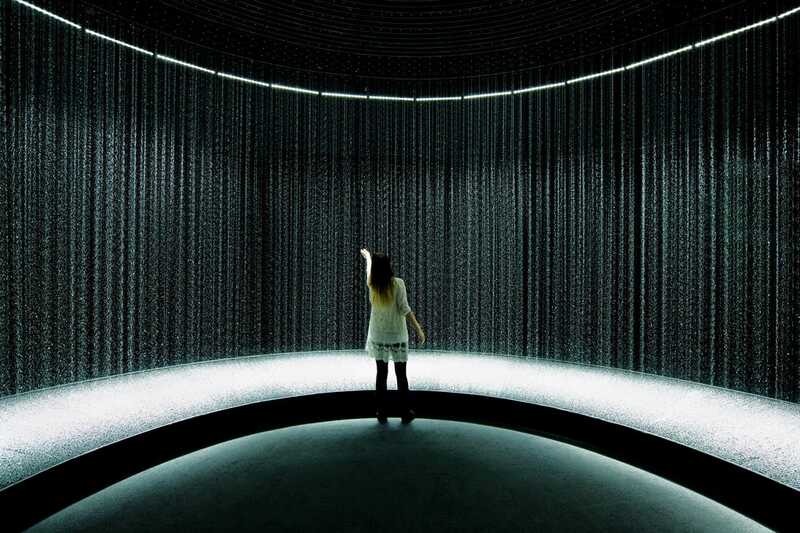 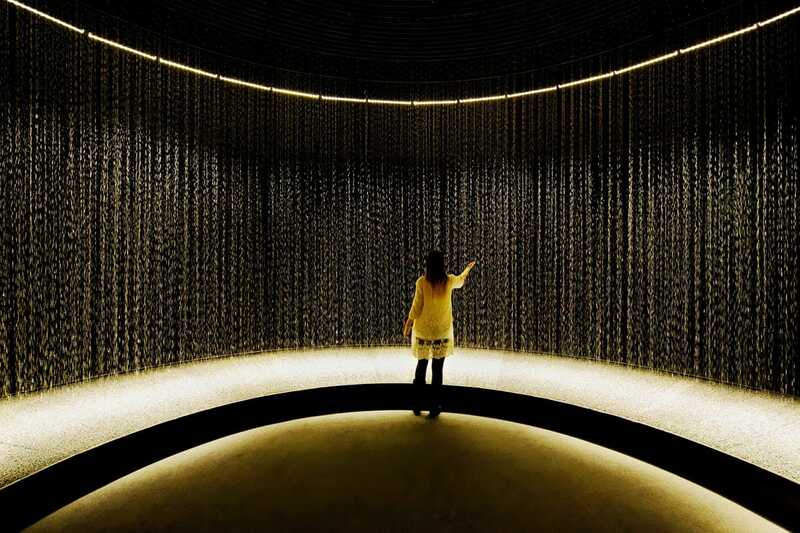 ‘Light in Water’ is a site-specific installation intended to provide an immersive and emotional experience. 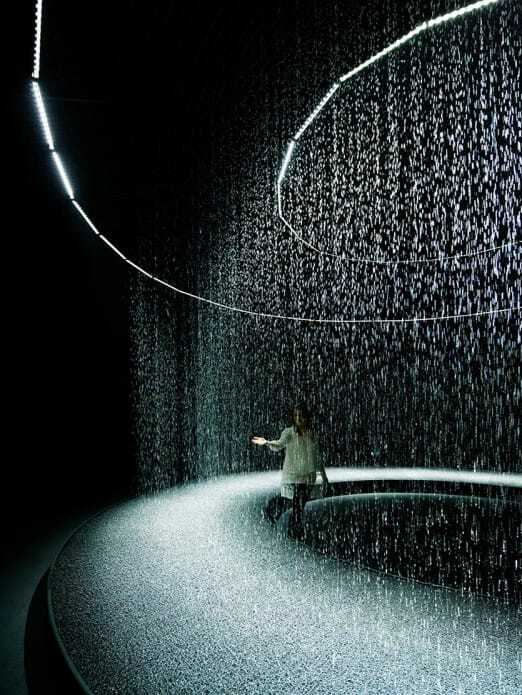 It was previously presented at Milan Design Week 2011. 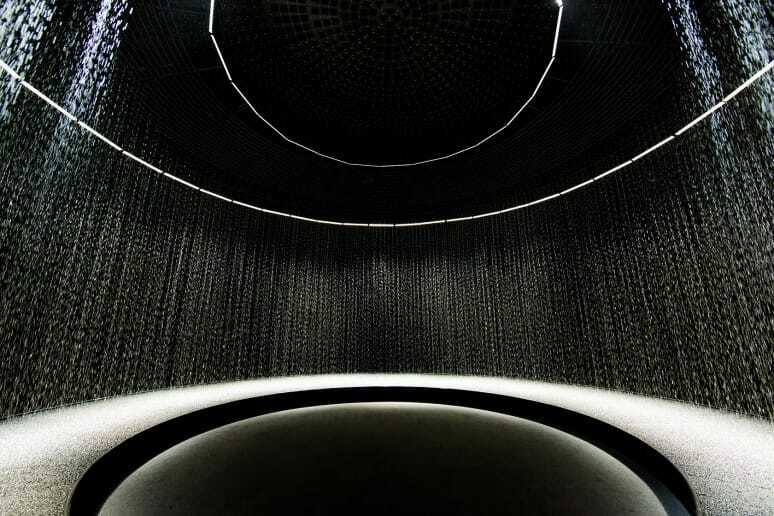 The installation took advantage of the uniaue status of the venue – one of the oldest concrete domes in Paris. 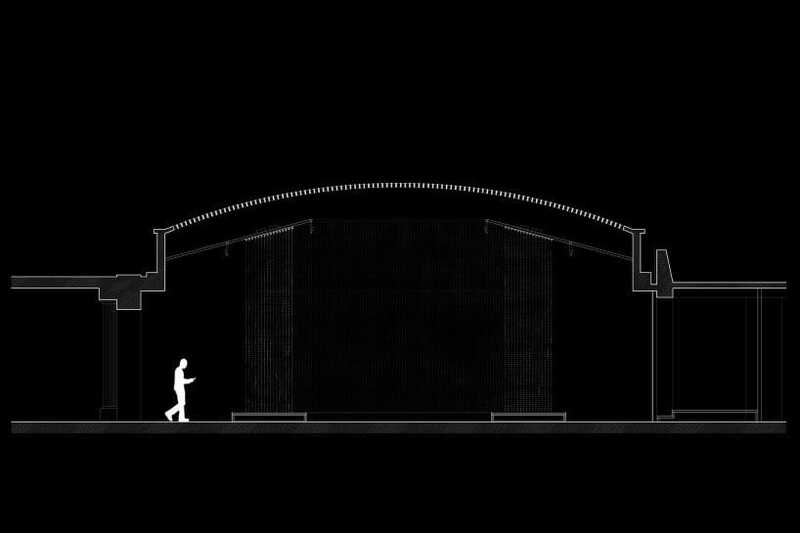 The installation was thus adapted to the circular form of the space, defining the inner sanctuary as a ‘place to be’ and an outer area as a space for a bystander. 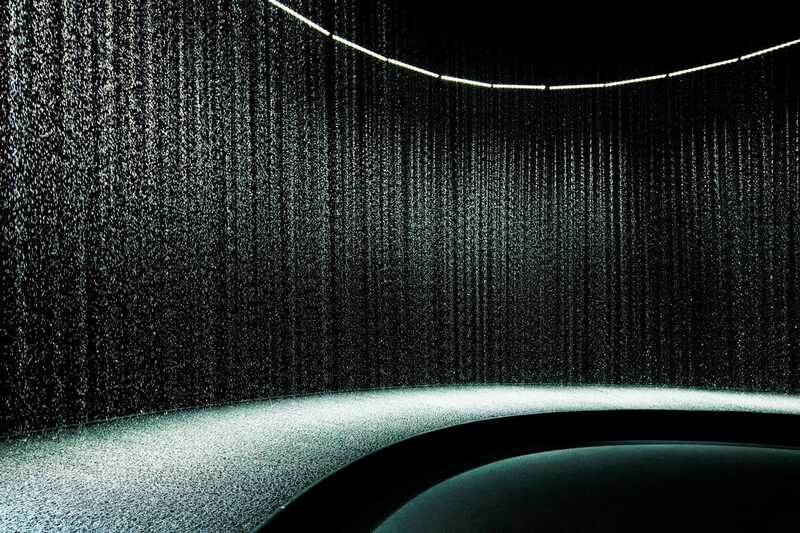 There are sixteen rings of slotted tubes on the ceiling. 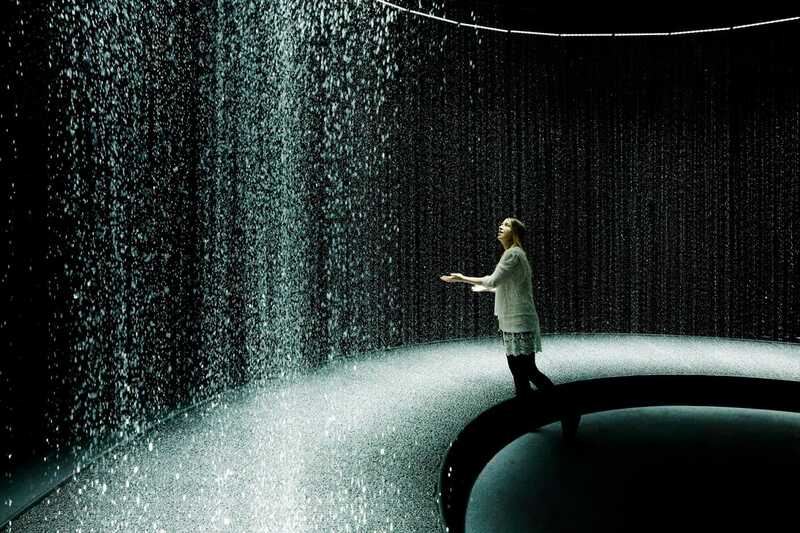 From each hole, 60 drops of water fall every minute; in total 3 tons of water circulate in the space. 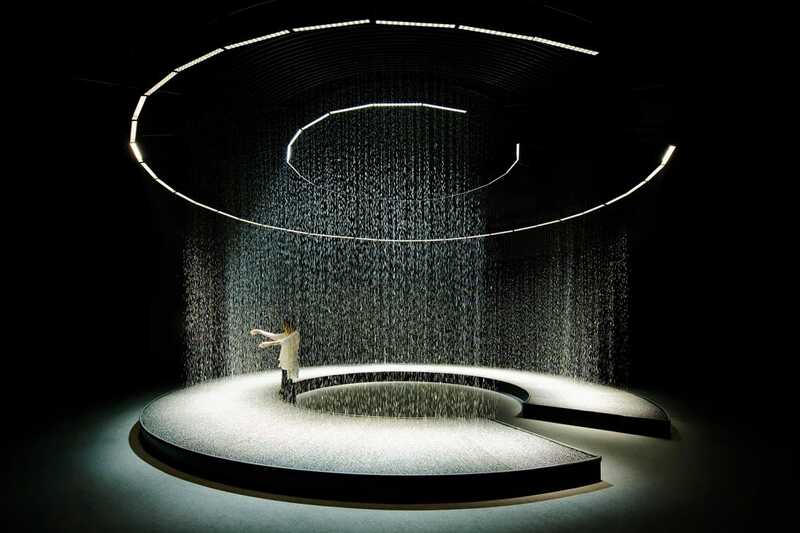 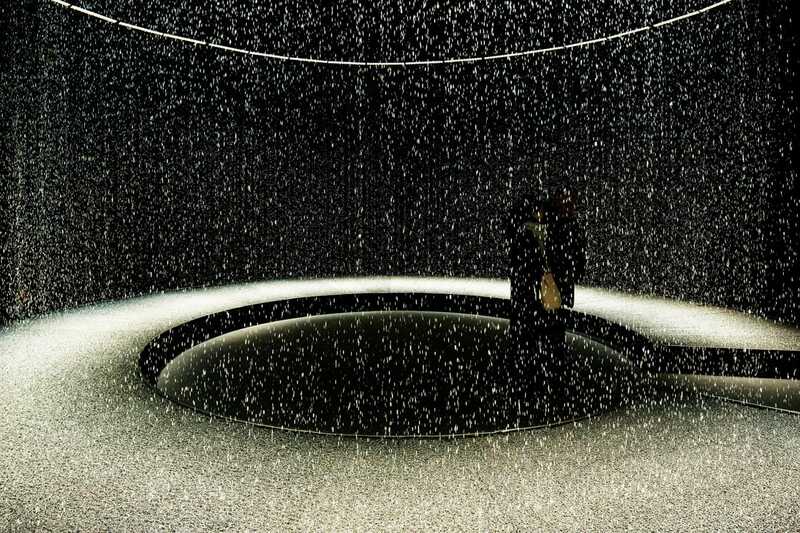 The LED lights vibrate between on and off, with frequencies ranging from the shortest interval possible, at 7μs, allowing the viewer to materialise a point of light in water, up to 6000μs, where light becomes the line of water. 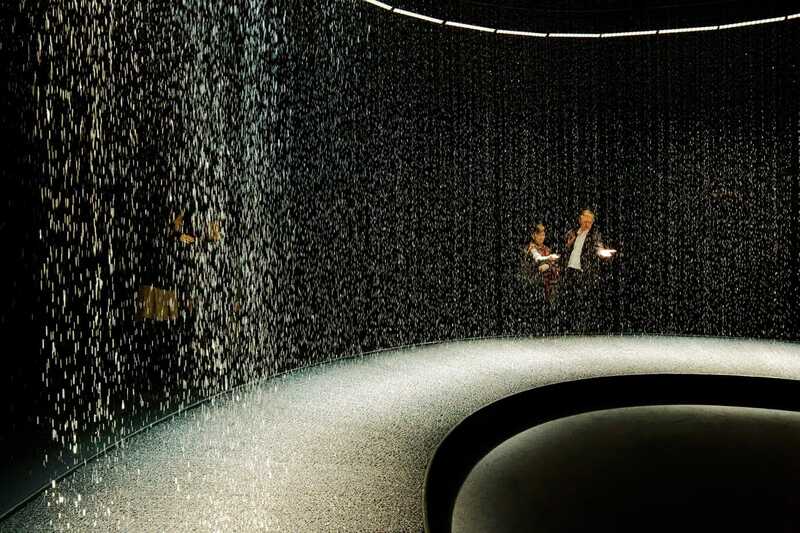 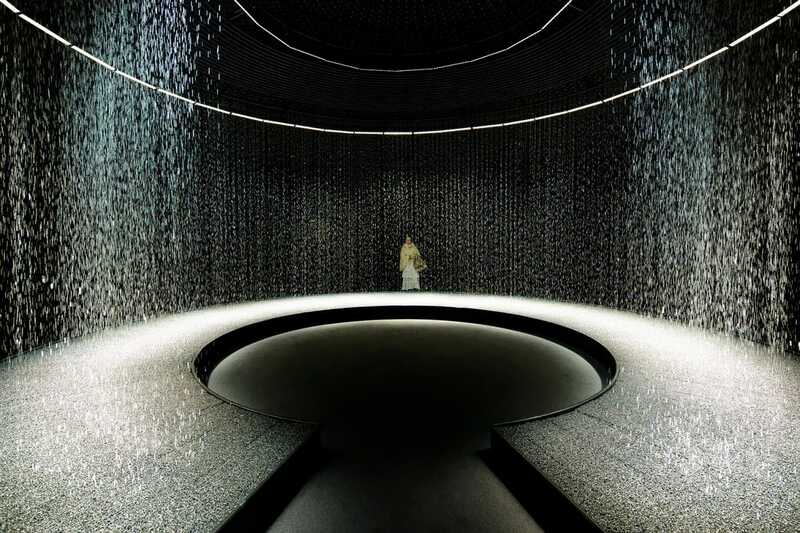 Through this magical materialization, the installation emphasized the shared, essential qualities of light and water, the two engines of evolution.